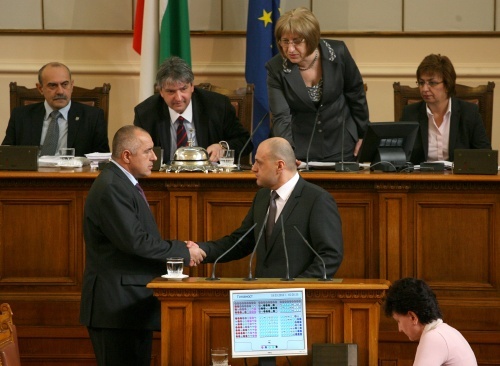 Bulgaria’s Parliament approved Thursday the appointment of Tomislav Donchev as Minister for the management of EU funds. Donchev, who is the current Mayor of the city of Gabrovo was approved with 130 votes in favor, 56 votes against, and 7 abstaining. The appointment of the new EU Funds Minister has been backed by the ruling party GERB and its partners from the rightist Blue Coalition and the nationalist party “Ataka”, and has been opposed by the opposition Bulgarian Socialist Party and the ethnic Turkish Movement for Rights and Freedoms. In his statement to the Parliament Thursday, Prime Minister Borisov declared that the EU funds were a crucial source of investment for all sectors in Bulgaria which necessitated structural change in the cabinet with the appointment of the new minister. Borisov said the European Commission has welcome the change. He explained the new minister will not be in charge of an actual ministry but will be working to coordinate the absorption of EU money in the entire government. The Socialist Party opposed the appointment with its leader Sergey Stanishev saying that it was unclear why the GERB government had scrapped a similar post created by his cabinet in the past. He said the appointment of the new minister was a recognition on part of the government for its mistakes. The move has been supported by the rightist partners of the GERB party who stressed the need for better coordination among the various institutions administering the absorption of EU money.